It’s hard to put into words the admiration I hold for Kristen and her husband. It would make her uncomfortable to know I admire her. Though I’ve never met her personally, I know from a few shared emails and from years of reading her blog that she doesn’t want any credit for the amazing work that’s being done through Mercy House Kenya. There’s a true beauty in obedience. When we’re willing to sacrifice everything, to lay it all down and follow the hard path, amazing things can happen. We’re all on the path to obedience in some way or another, whether we know it or not. It could be choosing to raise our children a specific way, following a dream, or simply living in a way that inspires others. This week, Lee and I took a final step of obedience. Actually, this step was more mine than his, but he’s walked each step of the way with me. 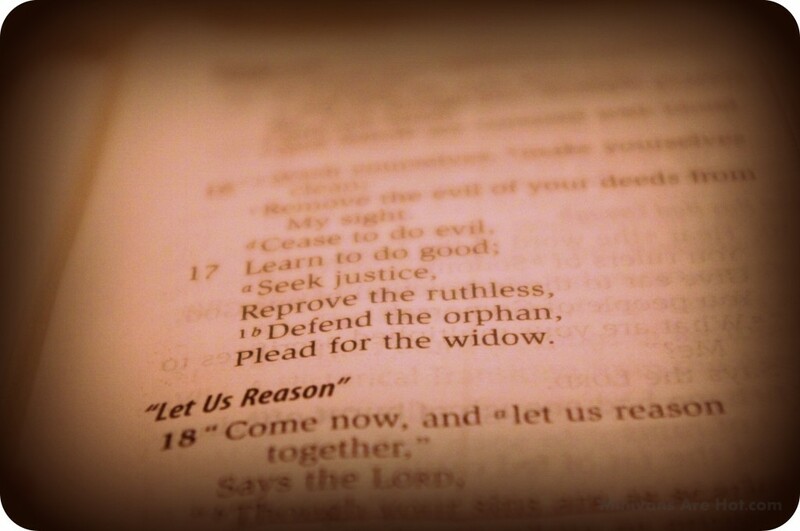 This week we officially acknowledged, out loud, our decision to stop pursuing adoption for the time being. In making this decision, we felt like the best way to lay this dream and longing down on the altar of obedience was to return the funds that were donated to us for the purpose of adoption. It no longer felt right to keep those funds for something that may never happen. There’s something beautiful about sacrificing for obedience. There’s a new hope that’s birthed from fully dying to self and opening your hands wide – to saying “Yes” when it hurts. Kristen and Terrell said yes to what God had planned. They felt a calling that, at first, seemed ambiguous and cloudy. Help women and babies in Africa. Where do you even go with a desire like that? If you’ve read along with Kristen’s journey and the start of Mercy House Kenya, then you know that what started as an ambiguous idea has turned into a huge dream that is currently changing the lives of 12 young mothers and their babies. Mercy House Kenya is more than a maternity home – it is a place where mothers and children are kept safe, and are kept together. Mercy House is orphan prevention, and in this time of uncertainty in our own family, Lee and I feel passionate about remaining at work in the process of orphan care. If we can’t bring one to our home, then by God I want to make sure children remain in their own homes. Right now, you and I have an amazing opportunity to do something big – something huge. And we can do it from right here, in our own homes. We can go to Kenya today without leaving the comfort of our own homes. Mercy House and (in)courage have teamed up with a group of bloggers to kick start a four month campaign to help provide essentials to the safety and sustainability of Mercy House and it’s 12 moms and 12 babies. There are five projects that we would love to see completed just in time for Christmas and Phase 1? The phase you and I are jumping in on? It’s perfect. 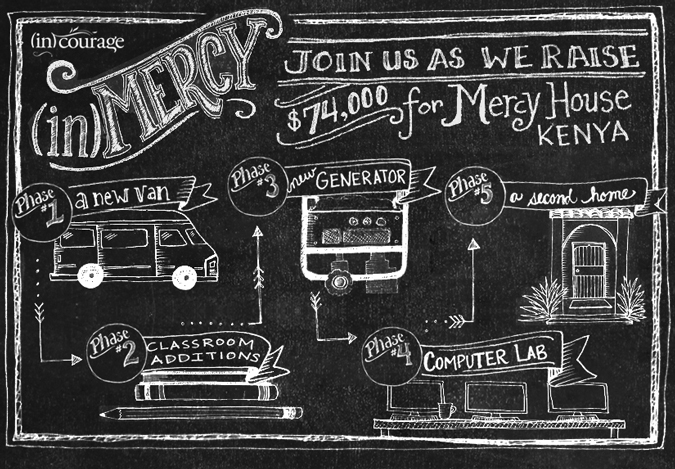 We are going to be a part of raising $8,750 that will help purchase a new van for Mercy House. What do you think? Can we bring a little Minivans Are Hot to Kenya?! Click this link to head over to the Pure Charity page, which will allow you to give directly to the purchase of a new Mercy House van. You can see the other projects that are coming up in the next few weeks by clicking here. 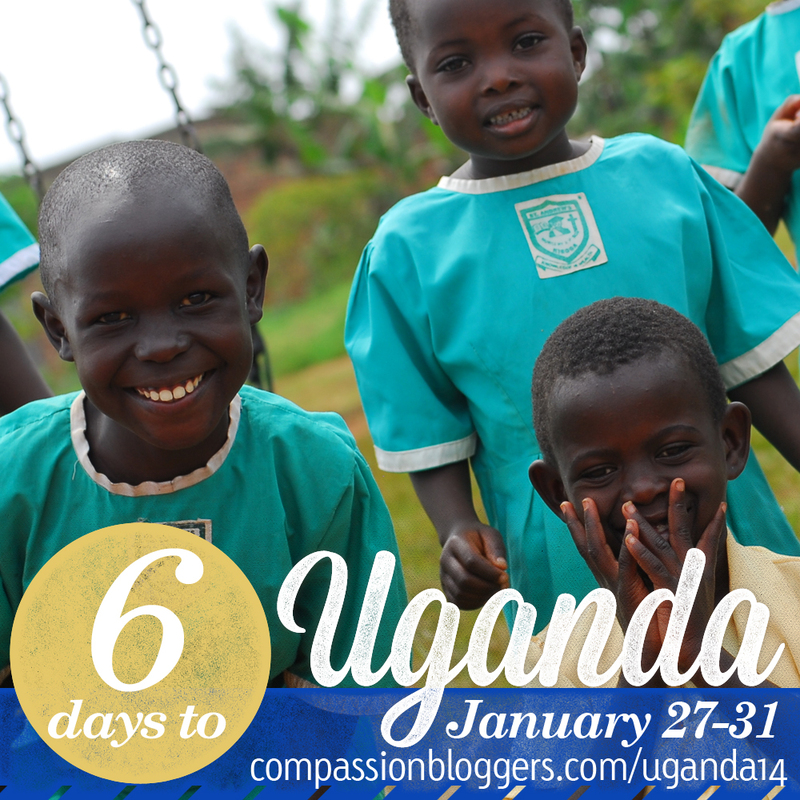 By Christmas, we’d love to see $74,000 raised to complete all five necessary projects. This is huge. This is the power of social media at it’s very finest. This is the way to bless and be blessed. So who’s in? Who wants to be a part of this one really big thing? Would you do me a favor and share what’s going on here? Would you tell your friends? Let’s work together to see this first phase of (in)Mercy completed by the end of the day. May your “yes” and my own be blessed today. Happy Friday, friends.